He’s back, ladies. That dreamy 12-year-old heartthrob we all sang along to on our CD players in the car… He’s on tour again, except Aaron Carter is now 25 and on a bit different type of tour. Instead of opening for the Backstreet Boys or being featured on “Lizzie McGuire,” this is the After Party Tour, and the name reflects it well. Targeting his original audience, this grown-up child star is touring college towns and reconnecting with those girls that grew up having the biggest crushes on him. On May 6, he took his After Party Tour to The Blue Note in Columbia and showed us what we had been missing out on for 10 years. Granted, after a two-to-three hour wait for the star to come out, he delivered classic favorites like “How I Beat Shaq,” “Iko Iko,” and of course “Aaron’s Party (Come Get It)” and “I Want Candy,” along with full choreography and two back-up dancers. Aaron also did some impressive gymnastics, like a back tuck and an aerial. 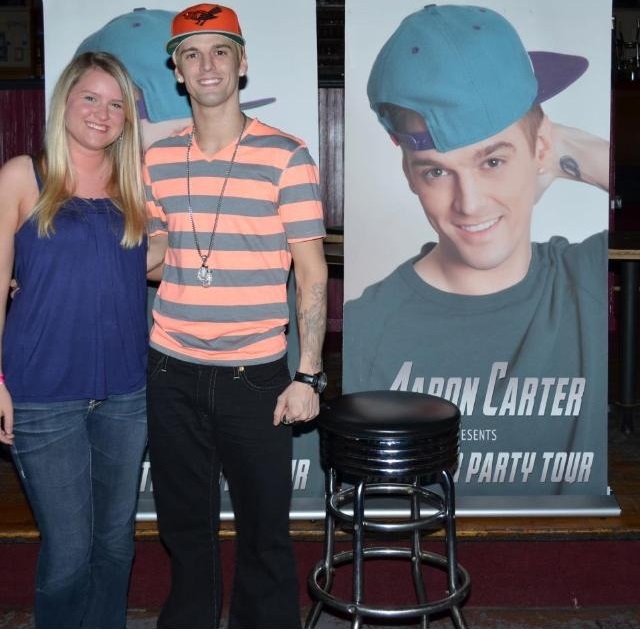 Who knew Aaron Carter never lost his touch? 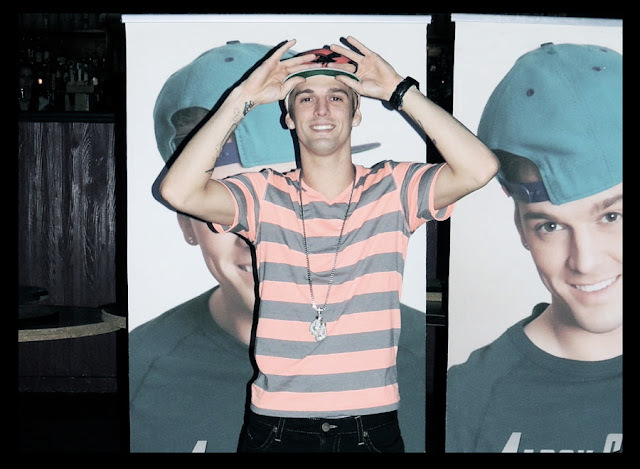 It’s safe to say Aaron Carter is back doing his thing, making a name for himself. The show was a great trip down memory lane, and no one struggled with remembering their favorite lyrics. 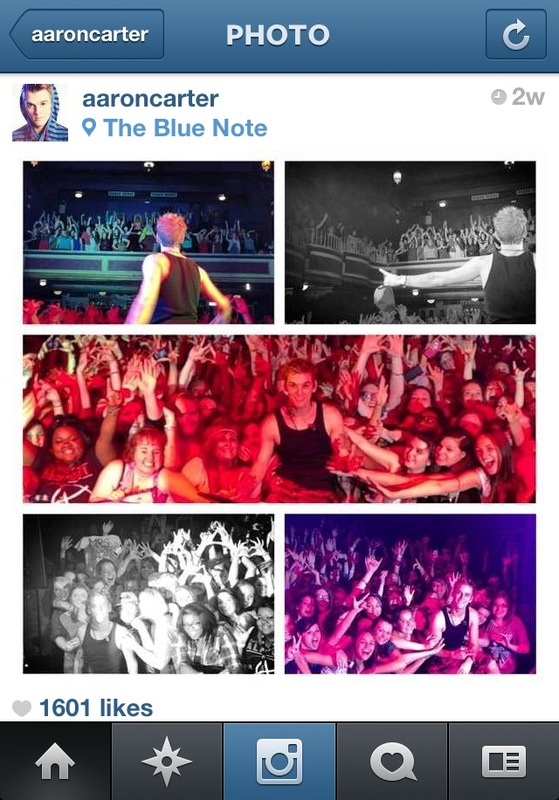 Aaron will continue to be on tour until December of this year, so check out if he will be coming to a town near you! You won’t want to miss the crazy antics this star has up his sleeves. Because after all, it’s Aaron’s party (so come get it!). 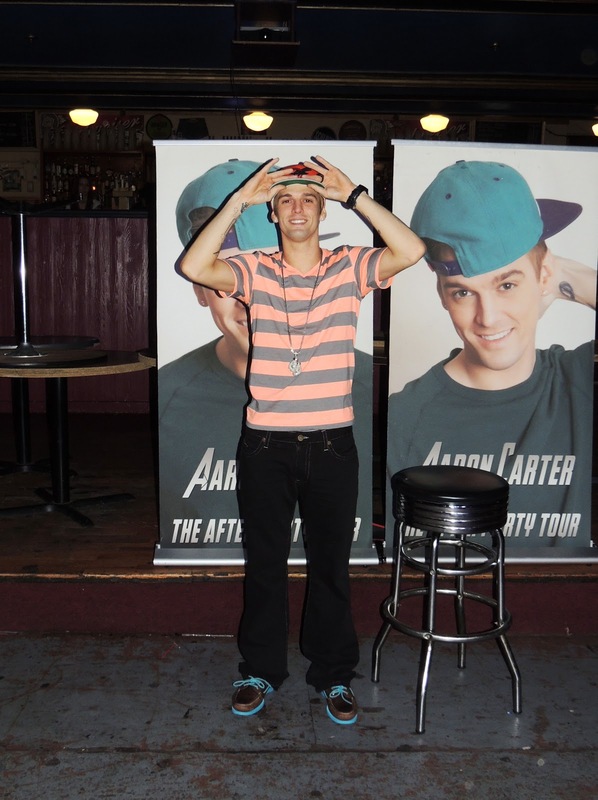 Twenty-five-year-old Aaron Carter lets CG Mizzou snap a quick pic following the show. The former teen heartthrob poses with CG Mizzou contributing writer Lindsay Keaton after the concert. Carter smiles for a photo with Liz Stratman, CG Mizzou founder and editor-in-cheif, during the post-show Meet and Greet. 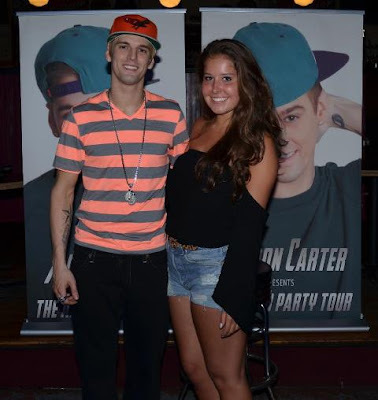 Did you get to see Aaron Carter when he was in Columbia? Send your pictures to mizzou@collegegloss.com, and we'll post them in this article. Visit our YouTube page for video clips from the concert taken by our very own Lindsay Keaton! Keep up with Aaron Carter by following him on Facebook, Twitter and Instagram.